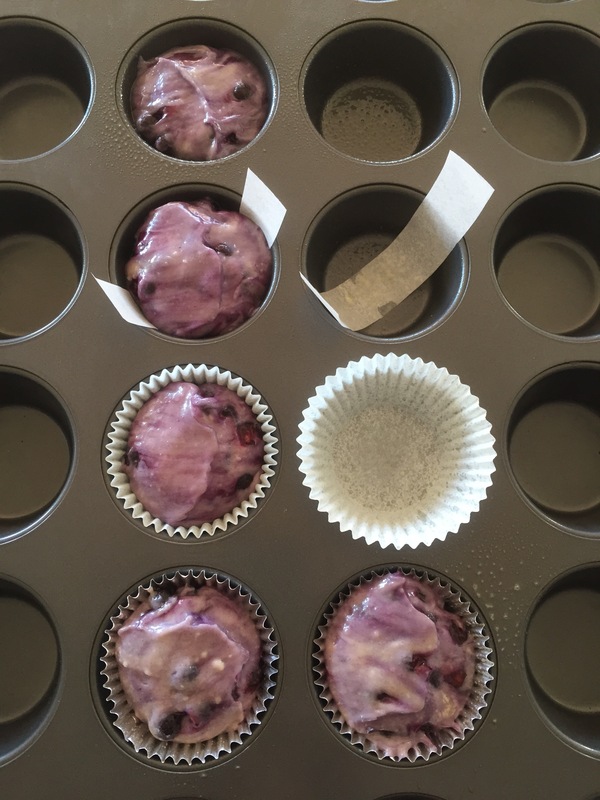 I baked two batches of blueberry muffins over the last couple of weeks and had vastly different results. The first was blogged here and resulted in gorgeous high-rising muffins that were, sadly, a little difficult to get out of the tin. In the instructions, I noted that you should use liners instead of facing the frustrating reality of chiseling your muffins out of the tin. But–was that right? The second batch I made were baked in liners and they came out looking…well…too sad to photograph. They were delicious but they didn’t rise nearly as high and they didn’t have the nice slight crunch of the exterior that is browned in the individual cups. I wondered if the liner had anything to do with it and set about to test. 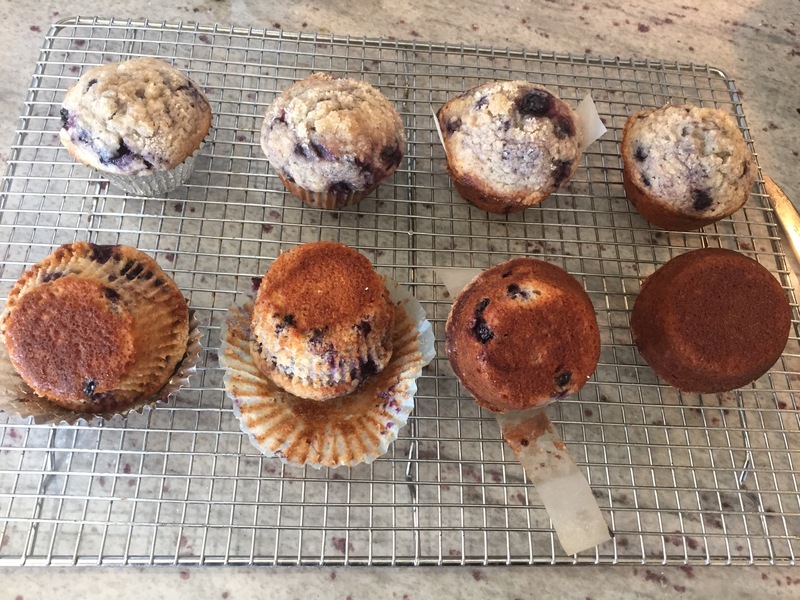 Eight muffins, four methods. Baking spray only, a parchment paper sling, a paper liner, and a foil liner. Then topped with the topping which I am still using from the original batch. I still have a little more to use up, in fact. Halfway through baking, the differences were clear. Despite the unlined cups having the least amount of batter (since they were filled last and I am terrible at eyeballing), they were baking up higher and better looking than their partners. Some of this will, no doubt, come down to personal preference. I prefer a muffin with a little crust on the side and I don’t really love the mess of a liner. I just want to grab the muffin and eat it without any trash related entanglements, ok? For that kind of muffin, I think the parchment sling is the way to go. 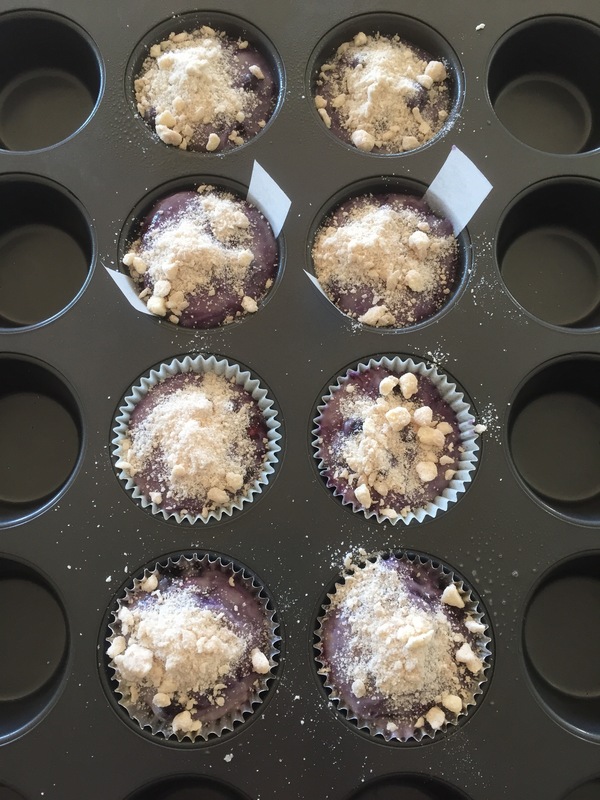 It made removal super easy and it had an even nicer looking top than the no liner muffins. 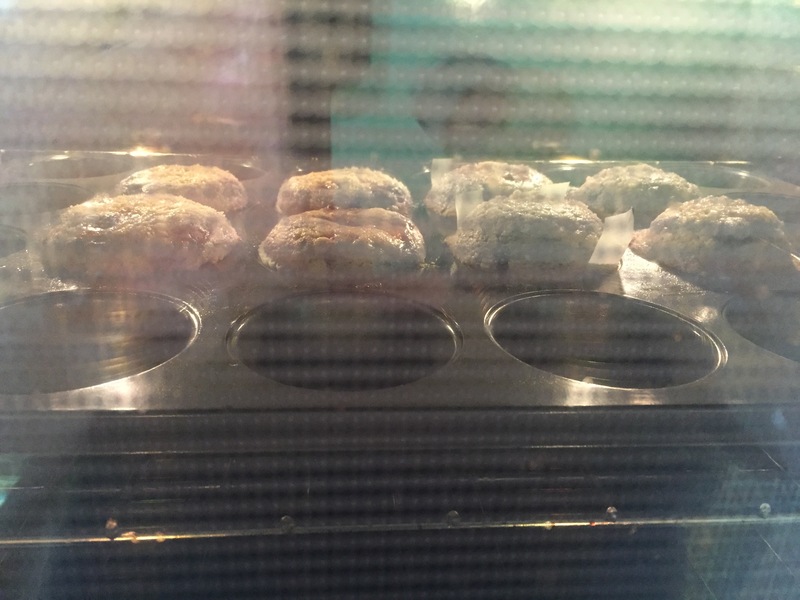 For those that like a soft sided muffin, the win has to go to the foil liners over the paper liners. 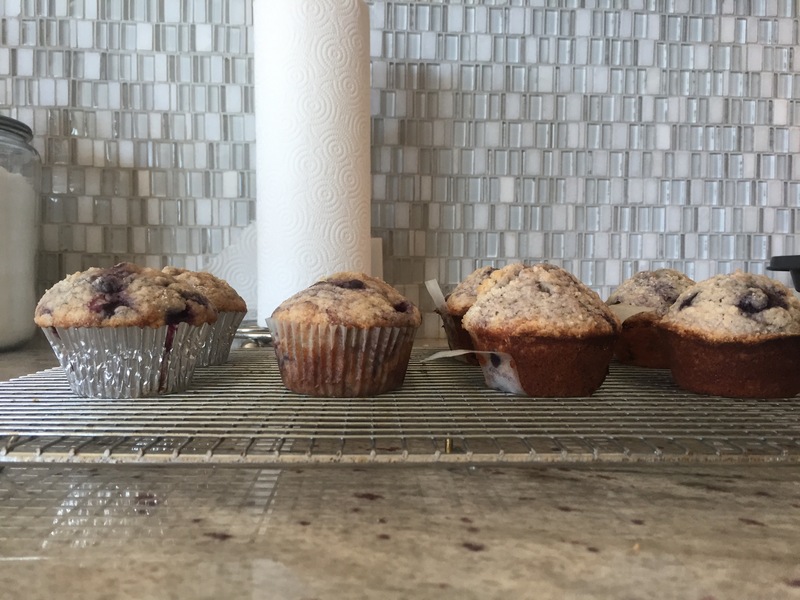 The rise was just a little loftier and muffin comes away just a little cleaner. Verrrryyyy interestingk. 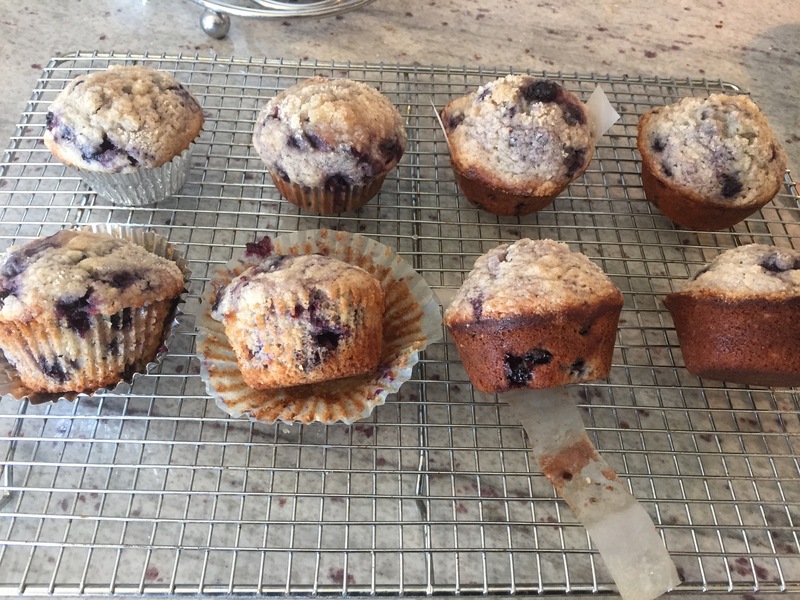 I like the look of the non-liner muffins a lot more, but I prefer a muffin with softer sides so that I can pull the bottom off and eat it first, saving the crunchy delicious top for last. Also, I love that you test things like this. So awesome. I wonder if I should revisit muffin tops sometime. Remember that food fad? My mom was SUPER in to making tops on a sheet pan.